I have been a Los Angeles County wedding minister for many years, and I have officiated weddings of all kinds, including civil wedding ceremonies and religious wedding ceremonies, all over Los Angeles County and Orange County in many Griffith Park Wedding Locations. Consider Autry National Center and Museum, a wonderful Southern California wedding venue that you might consider for your wedding. Or if you are interested in a more casual wedding, give me a call and we can discuss the many options for your wedding location. Located in Griffith Park off the 5 freeway, one of the unique Los Angeles wedding locations is more than a museum wedding venue. It is a wedding and reception location that is entertaining for your guests of all ages. It is the perfect wedding location for a cocktail reception for 40 or 1,400, a stylish wedding dinner for 400, or an outdoor wedding for as many as you’d like. 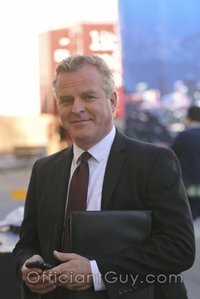 This Los Angeles wedding officiant can strongly recommend this San Fernando Valley wedding location, particularly for very large weddings and receptions. A variety of great western themed venues with style and a lot of fun. For those who have a soft spot for vintage Los Angeles or classic Hollywood western movies, this may be exactly what you are looking for. If you’d like to have a wedding in Los Angeles, call the best wedding officiant. 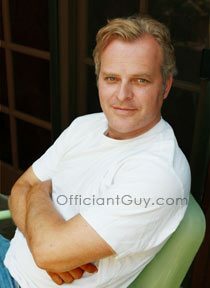 He can provide a California confidential marriage license and be the officiant for your wedding. Officiant Guy has been a wedding minister for over many years. He’s been the officiant for countless weddings and has garnered the praise of many people primarily because Chris is a notary who can issue a marriage license, as well as a wedding officiant, an attorney at law and he’s a terrific person.